If there’s a big question for Lions defensive tackle Ndamukong Suh, it’s this: Will he improve over his rookie season, stay the same or suffer through a sophomore slump? Last season the second overall pick exceeded most expectations by finishing the season with 10 sacks, 66 tackles, a fumble recovery for a touchdown (against the Redskins), a forced fumble and an interception. We won’t mention the missed point-after attempt. So how does he approach this season? With the same philosophy as last year. “I’ll give you guys a little insight, my goals are team goals, everything else falls after that. I reached all my personal goals last year and the reason why I did that, other than wins and losses, is because team goals came first. 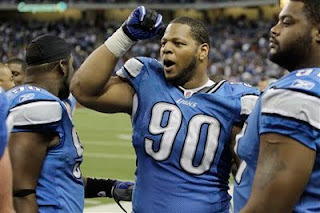 So if we accomplish team goals I’ll get my individual goals,’’ Suh said this week during a break from his football camp. So there you have it. When the season starts (I’m confident it will), it will be interesting to see what the players can achieve considering there was no offseason team work. Not just for Suh, but for everyone. WALLED LAKE — Lions defensive end Lawrence Jackson, who had ankle surgery in January, is still not 100 percent. But the plan is to be running on all cylinders when training camp opens whenever that may be. Jackson was helping out with Ndamukong Suh’s football camp for kids on Tuesday and Wednesday at Walled Lake Western. He said the surgery was the third one he’s had on his right ankle. There was no point last season where he injured it, instead it was just one of those ongoing, bothersome type of injuries. He described the surgery as a cleaning out process — removing roadblocks and speed bumps. He’s been rehabbing in Los Angeles, his offseason home. Jackson, a former first-round pick (28th overall by the Seahawks in 2008) was acquired by the Lions through a trade on Aug. 19. He had a groin injury which slowed him down early in the season, but finished with six sacks in nine games. WALLED LAKE — With ongoing talks in recent weeks between NFL owners and the players group, there’s a sense of optimism that the NFL will play a full season. Count Lions’ defensive tackle Ndamukong Suh as one of the optimists. “It seems like there’s some good progress and some good talks. The main thing is that they’re talking, interacting with each other,’’ Suh said from his football camp at Walled Lake Western on Tuesday. “There was a point in time when there was nothing being said, they were sitting back. Now there’s interaction. It looks like there’s positive light at the end of the tunnel. Look forward to getting it done, look forward to get back on the field,’’ Suh added. He admitted having one problem when he flew into Detroit on Monday night. He had to find a place to work out other than the Lions’ practice facility. Suh’s football camp continues on Wednesday. So what if they start this NFL season and the players just aren’t prepared —mentally and physically? How evident will be it when watching a game? Will it be sloppy? Will there be more injuries early on due to the lack of OTAs and minicamps? When the NFL owners locked out the players in early March, no one had a clue what would happen from there on. Would the whole 2011 season be lost? Would a judge lift the lockout? No one knew. Still we’re in the dark. Reports have been mostly optimistic the past two weeks that a deal is close. It’s got to get done soon to have a full training camp, along with a free agency period and preseason games. Oh, and the draft picks need to be signed. Camps usually open at the end of July and it’s more important than ever that they be full training camps since all of the offseason workouts and minicamps with coaches have been eliminated. The first NFL Sunday is set for Sept. 11. More and more I wonder about the quality of the NFL games especially in the first few weeks. Fans will be mighty disappointed if the players are not up to speed. If anything the Lions should be as prepared as any other team. They have the same head coach and coordinators for the third straight season. It could pay off especially in the first few weeks of the season. They open with three of fur on the road. Of course there’s still the big IF — if there is a season. Lions’ defensive tackle Ndamukong Suh will feature a different twist during his two-day football camp at Walled Lake Western next week. Through drills, he will work with local high school students to reinforce the mental and physical strength needed to succeed on and off the football field. On Wednesday Suh, with help of soldiers and volunteers, will lead the Army Strong Challenge which features a variety of combine tests and fitness tests for students ages 16-18. For more information on the camp, which is open to boys and girls ages 7-14, go to www.campsuh.com. The big question for Lions’ fans these days is will the Lions break the bank and go after unrestricted free agent Nnamdi Asomugha? No one can quite pronounce his name but everyone seems to think the eight-year veteran, who is 30 years old, would be a good fit for the Lions’ secondary. Cornerback is certainly the biggest question mark and there is no question that Asomugha would be a huge asset. Wouldn’t surprise me if the Lions make a run at him when free agency opens whenever that may be. They didn’t hesitate a year ago when they signed Kyle Vanden Bosch and Nate Burleson to big deals. They didn’t draft a cornerback and know it’s a need. However, there’s speculation Asomugha could demand about $16 million a year, the same as Peyton Manning. That's steep pricetag. Gil Brandt, a senior analyst for NFL.com, thinks Asomugha would consider Detroit. Not only do players respect coach Jim Schwartz, but any cornerback would love to play behind the defensive line that the Lions have built. It should be interesting to see where he lands. Sometimes we get so carried away with the big news on the NFL negotiations and such that the good news slides under the radar. Got word that Lions defensive end Turk McBride graduated from the University of Tennessee with a degree in sociology. McBride played four seasons at Tennessee (2003-06) , but was 16 credits shy of a degree when he was drafted by the Kansas City Chiefs. The Lions claimed him off waivers in 2009. If it hadn’t been for the NFL lockout, this feat might not have been accomplished. McBride spent most of the days Monday-Thursday during the spring semester on the Knoxville campus according to a release from his agent. Good for him. Many athletes intend to go back to school and earn their degree, but never find a way to do so. McBride made it happen. Are you ready for more Thursday night football? Are you ready for some Thursday night football? It could happen as part of the new NFL collective bargaining agreement according to Chris Mortensen of ESPN. The current eight-game Thursday night package airs on NFL Network. This report said in the 2012 season it would be 16 games and the bidding would be open to all networks. Estimates are that it could carry a $1 billion price tag. What is one of the issues that the owners and players have been dealing with? The owners wanted another $1 billion off the top of revenues. If this is true it just makes so much sense. 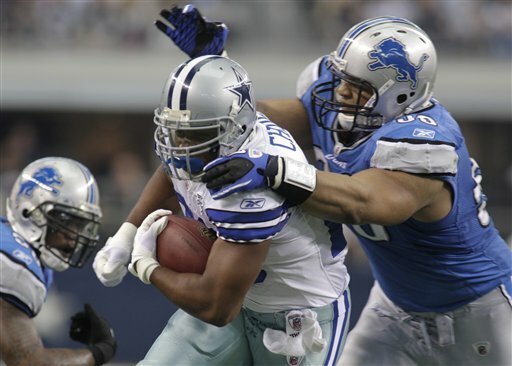 Scheduling shouldn’t be a problem Every Thanksgiving the Lions and Cowboys play on Thursday after playing the Sunday before. Plus they've been playing up to eight Thursday night games a season since 2006, but many people don't see the games because on most cable systems the NFL Network is a top tier channel. Next question of course is how long before the Lions could find themselves in the Thursday prime spotlight? Reports from today’s owners’ meetings in Chicago seem positive. Rumors exist of getting a deal done by June 30. Then give the teams a week to digest the new rules prior to free agency. Then, of course, there will be time for training camp, possibly an extended version. It’s not a done deal, but there seem to be optimism that the full season will be played. It’s been a while since I’ve said this, but believe me this is a huge week for the NFL. The NFL owners meet Tuesday and Wednesday and then negotiations will pick up again. Commissioner Roger Goodell’s challenge is to get the owners behind the basics of the plan that have been discussed in the not-so-secret talks over the last few weeks. When the deal is complete 24 of the 32 owners must agree to it. Although the first Sunday of the regular season isn’t until Sept. 11, there is plenty to do before then — free agency, minicamps, training camps and preseason games. There’s a chance if an agreement can be reached within weeks and the lockout lifted, that training camp which usually starts at the end of July could be moved up two or three weeks to make up for the lack of offseason team workouts. It’s up to Goodell and to DeMaurice Smith, the NFLPA’s executive director, to get the deal done. The clock is ticking. When the Lions do open free agency, whenever that may be, it’d be safe to assume they won’t go after any defensive linemen. Already they have Ndamukong Suh, Kyle Vanden Bosch, Cliff Avril, Corey Williams and first-round pick Nick Fairley. Add to that Sammie Hill, Turk McBride, Lawrence Jackson, Andre Fluellen and Willie Young. Former Patriots’ linebacker Willie McGinest, who worked out with the Lions last week, has rated the Lions’ defensive line in the top seven in the NFL. “I think Detroit is one of (the best). They had a lot of sacks, I think they can improve in the run defense area,’’ McGinest said. Quarterback Matthew Stafford, at the ripe old age of 23, sparkled as an offensive leader during the offseason workouts last week and the other session in May. With his shoulder healthy, he seemed to make it through the vigorous workouts without a problem. Rookies Titus Young, the wide receiver, and Mikel Leshoure, the big running back, won’t have the luxury of OTAs and minicamps, so Stafford is trying to give them a jumpstart before they reach training camp. He remembers how important the offseason program was to him after he was drafted first overall in 2009. Stafford has been a leader from the get-go. It’s a role that fits him well. When the Lions signed DE Kyle Vanden Bosch as a free agent in March 2010, they got a great defensive end and perhaps a better leader. He proved it all during last season. It continued last week at the team’s informal workouts. On Friday the guys went through a grueling five-station workout. Everyone made it, but Vanden Bosch was clearly one of the best conditioned guys on the field. Former Patriots linebacker Willie McGinest worked out with the team Friday and he noticed Vanden Bosch too. You couldn’t help it. Vanden Bosch was at all eight workouts which he helped coordinate. And even though he hates golf, he was at the Lions’ golf charity benefit last week to meet and greet. He gets it. Coach Jim Schwartz knew that because he worked with him in Tennessee. Of all the good moves Martin Mayhew has made Vanden Bosch is in a class of his own. No one knows what type of team the Lions will be in the 2011 season. Like the other NFL teams, they haven’t even gone through free agency yet. But Willie McGinest, who worked out with the Lions last Friday, likes what he sees from the team. “I like them, they’re a young team on the uprise, I think they did a great job in the draft, they’re adding key pieces that they need, if they can keep everybody healthy, if they can keep everybody on the field, they can compete with anybody, especially in their division,’’ said McGinest who won three Super Bowls as a linebacker for the New England Patriots. Rookie running back Mikel Leshoure was one of the rookies who took advantage of the Lions’ offseason workouts last week at Detroit Country Day. The second-round pick out of Illinois got one-on-one training from quarterback Matthew Stafford as did rookie wide receiver Titus Young. For the rookies not only do they have to learn the playbook when training camp start, but they also have to get to know their teammates. They both got a jumpstart on that through the workout sessions. “I’m really happy to get out here with these guys. You guys are here you can see the competitive camaraderie coming together. Just to get out here and get a one-on-one feeling with these guys and get to know them personally is the best thing you can do. You can’t get that type of relationship over the phone,’’ Leshoure said. BEVERLY HILLS — About 30 of the Lions wrapped up their second four-day session of workouts on Friday. They will wait to see how the NFL negotiations go before scheduling another. For the first time in the eight days defensive tackle Ndamukong Suh was present at a workout. He seemed limited in one of the drills involving extending a barbell over his head. Suh did not speak to the Detroit media so don’t know if that was related to his shoulder surgery in January. Also, NFL Network was on hand filming Willie McGinest, former Patriots linebacker, going through the workout. “Thank God I was in shape and I was able to do all the stuff. It was a different type of workout, I’ve never experienced something like this with the Art of Strength, it was less football. It was a lot of core, conditioning and getting the heart rate up,’’ McGinest said. Michael Knight from the Art of Strength and his staff led all eight days of the workouts at the Detroit Country Day fieldhouse. For the first time this week, the media was allowed to watch the whole workout which was about 75 percent strength workouts and 25 percent football. The workout will air on the NFL Network at 7 p.m. on Friday (today). BEVERLY HILLS — The Lions will wrap up their second four-day session of team workouts on Friday at Detroit Country Day. Obviously they couldn’t make them mandatory, but those who have attended have discovered how beneficial they are. The last ones off the field on Thursday were quarterback Matthew Stafford and rookie wide receiver Titus Young. The pair spent 10-15 minutes with Stafford teaching Young some of the basic passing routes. Young, a second-round draft pick out of Boise State, seems to have good hands. Before Stafford worked with Young, he was one-on-one with rookie running back MIkel Leshoure, a second-round pick out of Illinois, showing him the basic run routes. With no offseason training due to the NFL lockout, it’s the rookies who can benefit the most from these sessions. Although Stafford admitted it keeps him sharp too. With Michael Knight of the Art of Strength running the workout part of these sessions, there has been much structure and much sweat. Most of the Lions, at least the ones at the team workouts, just want a new contract negotiated and to play football. Frustration is growing a bit — NFL training camp is set to start in 50 days — but they keep working hard. 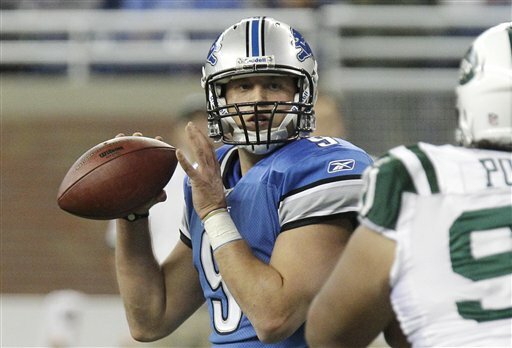 Quarterback Matthew Stafford has said more than once he is not losing sleep over it. On Wednesday he said no one really knows what is going on in the negotiations unless they are in the room. Of course, he’s right. 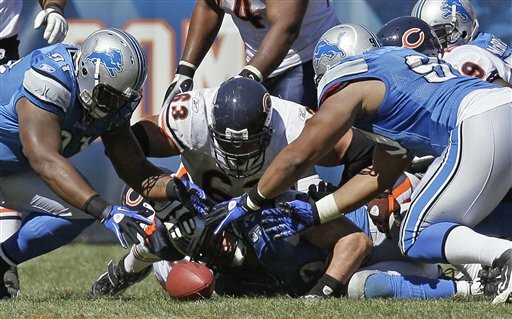 But Lions’ linebacker DeAndre Levy is more outspoken in his thoughts sent via Twitter. His Twitter account — @DreLevy — is not certified, but it is believed to be the Lions’ linebacker who has not attended any of the Lions team workouts this week or three weeks ago. BEVERLY HILLS — Brandon Pettigrew made his first appearance at one of the Lions’ informal workouts on Wednesday. It’s the new Pettigrew actually. The 6-foot-5 tight end has dropped 10 pounds going down to 255. “I like to eat, I just had to stop eating. I eat my three meals,’’ said Pettigrew who was a first-round pick (20th overall) in 2009. He cut out fast food and tried not to eat so late into the night. Pettigrew has some work to do on his game and he knows it. “My biggest thing is right now I’m just trying to be consistent. That’s how I want people to see me, when they see my consistency, confidence from the quarterback knowing that’s my go-to guy. I’m just trying to build that with the quarterbacks,’’ Pettigrew said. Last year it wasn’t that way with drops, missed blocks and busted assignments. He was one of about 30 Lions to participate in Wednesday’s session. The Lions will continue their workouts on Thursday and Friday. BEVERLY HILLS — For the first time since the NFL lockout started in March, Lions players, coaches and management will be on the same soil. They will take part in the Detroit Lions Golf Invitational, an annual money-raising event at the TPC Michigan in Dearborn on Tuesday. Will it be a little strange? “They realize that’s how it is, we realize that’s how it is. Maybe we can sneak in a secret conversation. Just kidding Goodell, I’m kidding,’’ center Dominic Raiola said referring to NFL commissioner Roger Goodell after Monday’s informal workout. “I think you can say hi to them. I don’t know how that works. I think team charity events that’s all right,’’ he added. Since it was the owners who locked out the players, the coaches and management could be more tight-lipped. The players have nothing to lose. “I don’t think we have any ground rules, I don’t know what the coaches rules are or people in the organization. I guess it will be strange but we’ll see,’’ said Kyle Vanden Bosch who will attend for the lunch only. He’s not a golfer. “It will be good to see their faces again. I don’t know what we can talk about so it will be a little bit strange,’’ Vanden Bosch added. Still, credit the players for making an effort to attend. They could have snubbed their noses at management, but obviously won’t let the lockout get in the way of a good cause. In its first 20 years, the Lions’ golf invitational raised nearly $6 million for charity. “Yeah, it’ll be different, but it will be fun as always,’’ quarterback Matthew Stafford said. The Lions worked out as a team informally on Monday. They didn’t plan a workout for Tuesday because of the golf event. They’ll continue their workouts on Wednesday, Thursday and Friday. BEVERLY HILLS — Ndamukong Suh was one of the most notable absences in the Lions’ unofficial workout on Monday. The Lions’ defensive tackle was not in attendance for the first week of workouts in May either. It’s startling considering that he’s one of the leaders on the team, he was the second overall draft choice in 2010 and it’s not like he can’t afford airfare. About 28 of the Lions worked out at Birmingham Detroit Country Day on Monday morning. Dre’ Bly, who is a former Lions and an unsigned free agent, was also back at it. He was also part of the group a few weeks ago. Defensive end Kyle Vanden Bosch, a team captain, was one of the organizers and was careful not to say anything bad about Suh’s absence. He said he’s texted him a few times but is not sure if Suh will show up for the workouts on Wednesday, Thursday and Friday. “One of the things with Suh, he showed it last year and he showed it in his college career, he’s one of the hardest workers I’ve been around. You know he’s working out, you know he’s in shape,’’ Vanden Bosch said. Suh had shoulder surgery in January and Vanden Bosch said he is as strong as ever following that. We couldn’t tell you, because we haven’t seen him. If you follow him on Twitter (@ndamukong_suh) you know he’s been on the road in recent weeks including a trip to England and Monaco. Can’t help thinking, he should have put Detroit on his itinerary. Team should come first, lockout or not. On Monday the Lions will get back to work on their own. Still locked out, they will hold their second four-day informal workout at Birmingham Detroit Country Day’s $6 million fieldhouse. They’ve had two weeks off since their first four-day workout which drew well — 30 to 35 players most days. It seemed to be a success. They worked hard, had trainers putting them through paces. They each work out on their own at places near their offseason homes, but it seems getting together had multiple benefits. “When you’ve got your teammates in the gym, it gives you that feeling that the season is about to begin, it gives you a second life,’’ running back Jahvid Best said. Defensive end Kyle Vanden Bosch helped put the first session together. He expects more next week. “The next time we will plan far enough ahead and start getting the word out. We’'ll be able to get more people and it will be even more beneficial because it will be getting close to when the season could potentially start,’’ Vanden Bosch said. At the last session, the offensive players clearly outnumbered those on defense. It will be interesting to see who shows up. It’s voluntary, but in terms of team-building it should be made a priority. Next time you see Matthew Stafford — and who knows when that might be — you will notice he’s bulked up in his chest and shoulders. It’s a visible difference which the media all quickly noticed during the informal workouts two weeks ago. Stafford was on the field all four days working in a T-shirt. He said the folks at the Andrews Institute in Pensacola, Fla., had him work on his back and shoulders. The surgery did not affect his shoulder tendons or ligaments which is perhaps why he made a fast recovery. He still has zip on the ball. In fact one day you could hear the ball smack off the hands of Calvin Johnson from across the field. It was more proof that Stafford is back. Now all the Lions need is for the lockout to be lifted. Court hearing is set for Friday. Louis Delmas needs a partner at safety and he’s doing his best in the offseason to work out the situation. 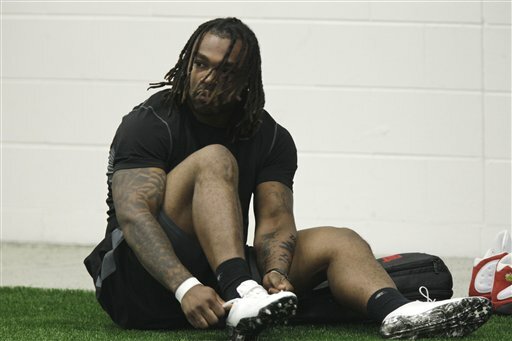 Delmas, who was slowed down most of last season with a serious groin injury, had offseason surgery and expects to be 100 percent when training camp opens whenever that may be. He trains in Miami, his home, while waiting for the lockout to be lifted. And this offseason he’s been working out with Erik Coleman, who signed as a free agent with the Lions before the lockout. Not only do they work out, but Delmas said last week he’s hoping they can start watching film, so Delmas can bring Coleman up to speed on the Lions’ defensive scheme. Coleman, a veteran, is expected to compete for the starting spot at safety along with Amari Spievey, who was moved from cornerback to safety last year in his rookie season. Delmas said he is in daily contact with Spievey who couldn’t make it to the Lions workouts last week because of issues at home. >P> Coleman was there meeting his new teammates.